Thanks to effective antibiotics, the plague is wiped out in industrial nations to the greatest possible extent. But resistance genes of the pathogens and the climate change might enhance the conditions for a comeback. Not just the Americans were deeply shocked by the ticker news a couple of weeks ago. 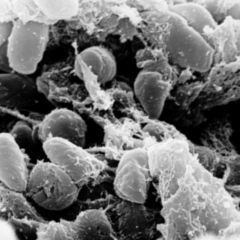 "Antimicrobial Resistance in Plague: An Emerging Public Health Risk" said the renowned professional magazine PloS one: Is it possible that the "Black Death" could come back – like earlier Influenza-pandemics? And thus launch the threat of a torturous death at perhaps millions of people? Background for those headlines was a discovery of the American geneticists around Jaques Ravel of the Institute for Genomic Research in Rockville/Maryland. It is based on 12 years old results finding a resistance for antibiotics in a boy suffering from plague on Madagascar. But since this island located in the South of Africa was far away from the populous United States, nobody really got excited about this limitation of a possible treatment. But now the working group compared the DNA sequence of the MDR (for multidrug resistance)- plasmids of the Yersinia pestis bacteria with those of salmonella and the fish pathogen Yersinia ruckeri and found a disturbingly far-reaching resemblance of the DNA-sequence. And not just that! The geneticists discovered a great resemblance with intestinal bacteria found in meat samples in supermarkets all over the States. 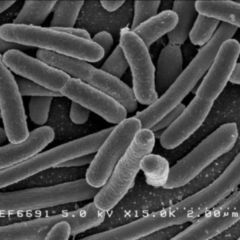 Bacteria are easily able to exchange the small DNA-rings with the resistance genes, also among different species. Until shortly, antibiotics were widely spread in American stock breeding. As a result, relevant intestinal bacteria such as the salmonella, clebsiella and Escherichia coli examined during this study, quickly develop according resistances. But the most alarming in this result was the fact, that those resistance-plasmids obviously travelled half of the world to get to Madagascar and to assimilate plague bacteria. Whether migratory birds are helping, like they do when it comes to influenza, is completely unknown yet. While Elisabeth Carniel of the Paris Institute Pasteur and co-author of the article expects serious consequences in such a case, her colleague of the conciliar laboratory for plague outbreak in Germany is much less concerned. Jürgen Heesemann of the Max-von-Pettenkofer-Institute in Munich answers to the question of DocCheck: "Even multiresistant plague pathogens we can treat very well with the available antibiotics". The epidemiologists are not just concerned with the resistance of bacteria against antibiotics, but also the change of climate abetting their spread. Last year in August, PNAS published a study of Nils Stenseth of Oslo University regarding the proliferation of the great gerbil. 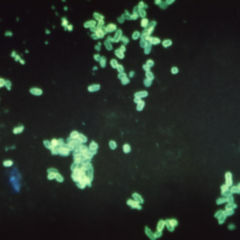 It is the main carrier of Yersinia pestis in the steppes of central Asia. The pathogens reach man by a flea bite and lead to the outbreak of the disease. Already in 2004, scientists from Europe and Kazakhstan described in Science the direct link between the size of the mice population and the number of plague cases. Now something else caught Stenseth's eye. According to the records of Kazakh epidemiologists, after a hot spring and a wet summer brought an increase of cases. On the basis of tree-rings, his team was able to show: In the 14th century, the Black Death always struck when the climate was accordingly favourable. This also applied to the last larger plague pandemic in the region. "One degree Celsius more in spring can lead to 50 percent higher plague bacteria population", he wrote in PNAS. In Europe, it is the black rat taking over the role of the gerbil. "But to spread the plague", says Jürgen Heesemann, "it takes such a dense population of rats in the cities, which is unlikely in our prosperous society with its stone- and concrete houses". As Michael Prentice and Lila Rahaliso speculated a little while ago in a Lancet-review, experts for biological weapons could work on eliminating the flea as interim host to spray extreme pathogenic plague bacteria directly into the air. At the same time, microbiologists are working on a vaccine against the Black Death. Jürgen Heesemann reports: "The recombinant vaccines are very effective in animal tests and are only waiting for their use in a plague pandemic.